Detect faulty wiring with this AC Circuit Tester. 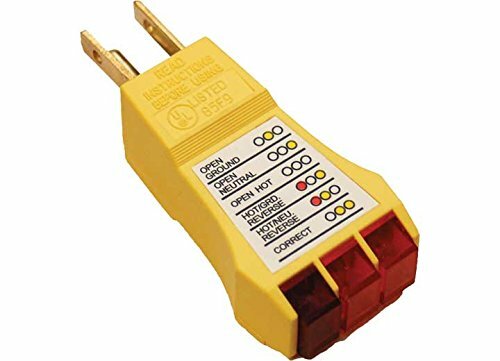 Plug it in and instantly know if circuit is correctly wired. Red and Amber indicators show six possible conditions. For use on typical 3 wire receptacles.